Hair bias is rarely discussed, but it remains a persistent global problem which affects millions. This year alone, families have had to take legal action both in the UK and overseas for the right to have their children attend school with their natural Afro hair. Whether it be the refusal to overturn an American state ban on dreadlocks or the damaging implications of schoolgirls being forced to straighten their hair in South Africa, discrimination based on hair has serious implications for many people’s job prospects, education and wellbeing. 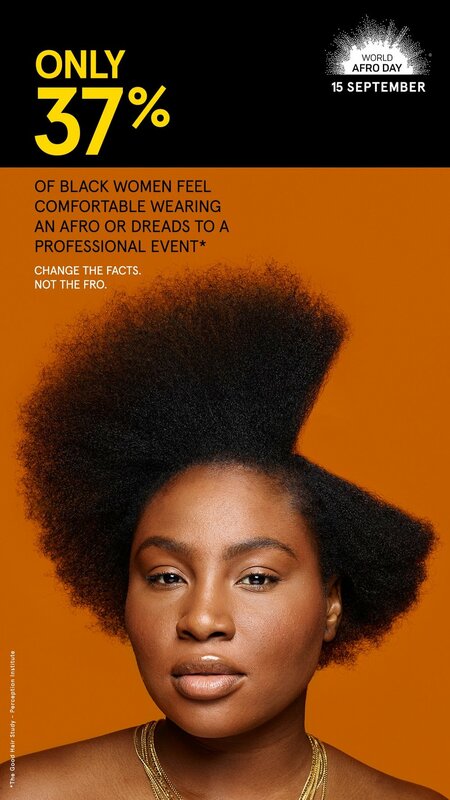 Ogilvy, Wavemaker and World Afro Day pioneer a new awareness campaign ‘Change the Facts, Not the Fro’. Focusing this year on tackling how society perceives women’s Afro hair and highlighting the importance of celebrating it in its natural glory, this campaign aims to challenge the status quo so this generation and the ones to come feel they have the choice to wear their hair in whatever way, shape or form. 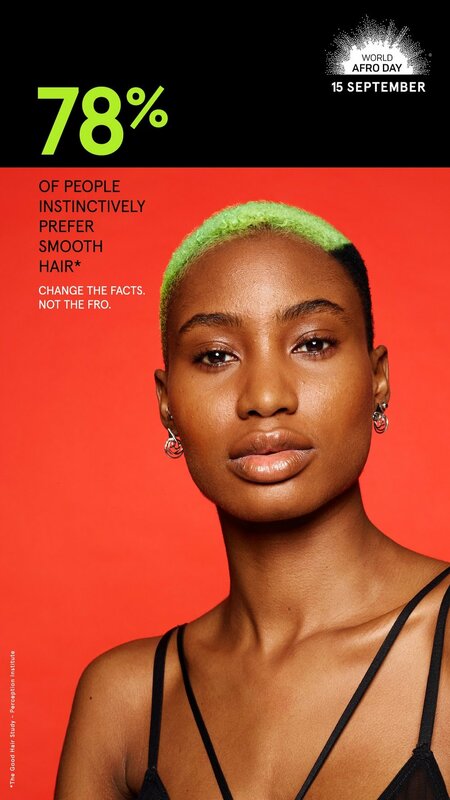 The rallying cry is featured on a series of images that use women’s Afro hair to illustrate startling statistics taken from The Good Hair study, and in doing so calls for change and for choice. The styles on the models came together courtesy of the award-winning hair stylist and industry expert Charlotte Mensah, who has featured in multiple press outlets and is well-known in London beauty circles for her work. The campaign consists of DOOH, social, PR and online. Audiences can follow the campaign on the hashtags #WorldAfroDay and #Changethefacts.